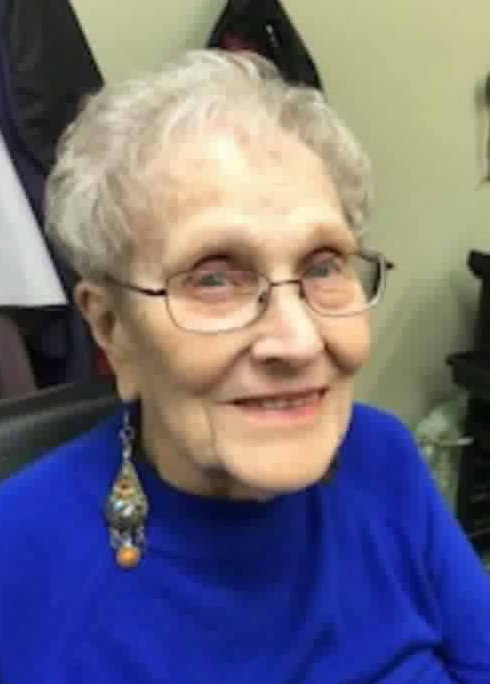 Frances Leila Norris, 101, of Newton died on Friday, November 16, 2018, at Newton Village. A memorial service will be held at 11:00 a.m., Monday, December 3, 2018, at the Wallace Family Funeral Home and Crematory. The family will greet friends from 10:00 a.m. until the time of service. Memorials to the Iowa River Hospice or Newton Village may be left at the funeral home. Frances, the daughter of Frank I. and Emma Elizabeth (Porter) Wells, was born on June 16, 1917 in Newton. She grew up in Newton and graduated from Newton High School in 1934. Shortly after high school Frances was married and blessed with five children. She lived in California for five years before returning to Newton in 1945. As a single mother she taught each of her children to have a solid work ethic and that they needed to make their own way in life. She also loved to dance and had many dance lessons with her kids in the family’s kitchen. Frances worked at the Maytag Company in Newton and after moving to Des Moines worked at Firestone. On September 12, 1965, Frances was united in marriage with Robert Norris in Des Moines. In 1966, they moved to California and Frances worked for Teledyne Industries until retiring in the early 1980’s. While living in both Des Moines and California Frances was active on women’s bowling leagues. Following Robert’s death Frances returned to Newton in 2003. Later in life, Frances enjoyed ceramics and her card playing group. Newton class reunions were also a special time and Frances had never missed one. The last one she attended at the age of 99. Frances was known for her witty sense of humor and had no problem if someone was being ornery to her, giving it right back. Frances is survived by her children, Sharonn Buckman of Newton, Douglas Wagoner of Vallejo, California, Chuck (Shirleyanne) Wagoner of Newton, and Jill Halvorson of San Jose, California; nine grandchildren; 19 great-grandchildren; four great-great-grandchildren; and a niece and nephews, both of California. She was preceded in death by her parents; husband, Robert Norris; son, Bill Wagoner; granddaughter, Holly Minor; her brother, Paul; and sister, Evelyn.